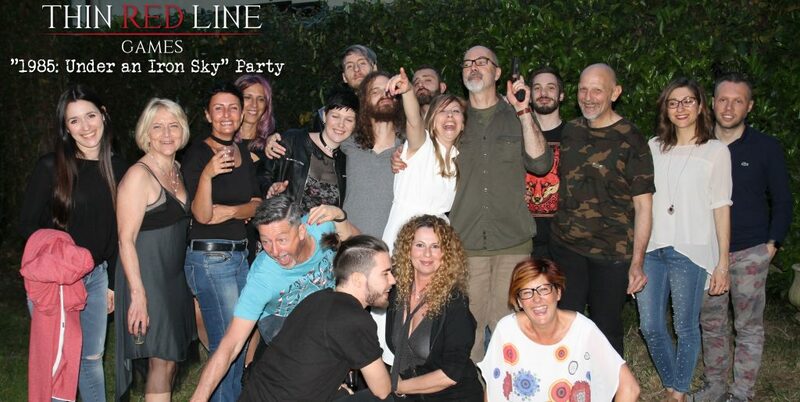 Yesterday we had a BBQ Party to celebrate the success of the 1985: Under an Iron Sky adventure! Thanks to everyone attending, and to all the Grognards who supported us during these months! Firmly she brought herself under control. Fun was fun, but a critical decision must be made. The war, and the Colonel’s “Plan”, was in full fury. Difficult for her to know who was winning, even with her access to the Colonel’s secrets. She did not truly care who won the war but rather whether the Colonel would survive and with him her life of luxury. He had survived many times, due mostly to her subtle guidance and certain “arrangements” she had made with KGB Generals, and he might or might not survive again. The most important question was, “Should she stay or should she denounce him and move on”? She had known he had been worried about the investigations into “war shortages” and with good reason. His dealings had brought in much capital (unlike her husband, she did not even pretend to be a Socialist) for both and, for her, furs, jewels, special shopping sprees and “treatments” in Europe. She obviously made no complaints about the activities that kept her in the style to which she was accustomed. And, of course, she had gathered enough evidence against him that at any time she could denounce him and PERHAPS not be eliminated. But it was that PERHAPS that worried her. If he fell, could she truly survive? And not just survive, but continue her life of comfort? If he fell, and she survived, and she could move on to the next foolish but high-ranking male, all was well and good. He would be shot, of course, but such was life in the Soviet Union. She would look good in black, and there would, of course, be a State funeral, with many connected and handsome KGB, Party or Kremlin officials needing to comfort a grieving widow. However… he was not dead yet and might survive, with her help of course. He did have some abilities and his latest endeavor with this “computer” of his might be enough. Though she little understood the paper she had found when rifling through his “secret” boot compartment, it did seem to have promise. And, if he DID succeed in deflecting the investigations…..
My devotchka, err wife Barbara will love it! The California cohort cannot wait for your next game. 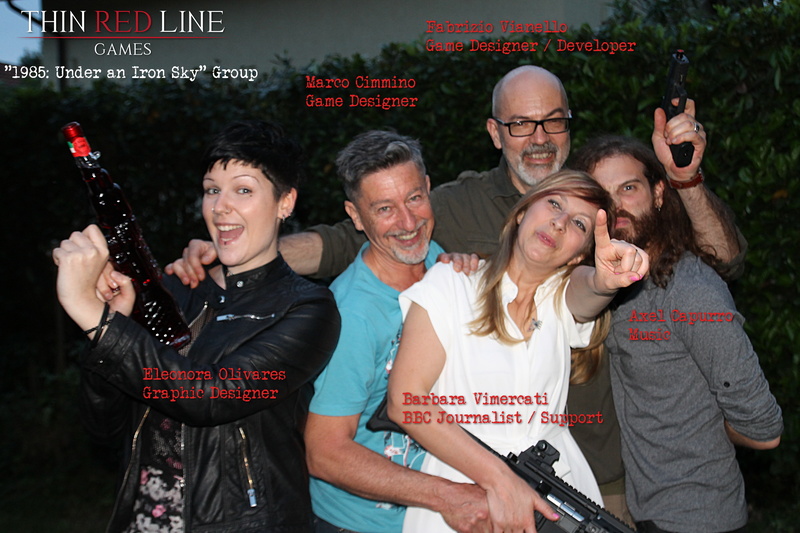 Excellent job on Under an Iron Sky game. Any chance of another print run? Spasibo! Central Committee is now evaluating the cost for printing 200 more copies. If there’s enough paper and ink remaining from the last quinquennial plan and the cost is not excessive, the production will be authorized for sure!